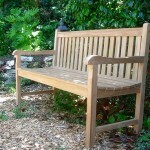 Within the first two weeks your furniture will acclimate to its new location outside. After the wood has been exposed to moisture, the surface grain may rise slightly. You may even notice a few small cracks, called “checking”. This is a natural weathering effect. Wood expands and contracts slightly when left outdoors. 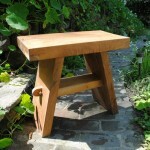 The slight separation of the grain has no affect on the strength and longevity of the furniture. Water spots or other discoloration may also occur early in the weathering process. These spots will even out and the furniture will achieve a uniform sliver-gray color over time, with regular cleaning. 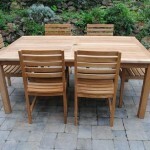 The only necessary maintenance for your teak outdoor furniture is an annual cleaning. 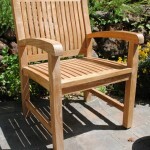 During the first two to three years, all untreated teak will develop a silvery-gray patina, which helps protect the wood. 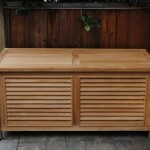 If this is the look you prefer, simply clean your teak once or twice a year (see annual cleaning below). 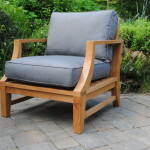 If you prefer to maintain the original honey color for your new furniture, you can use a teak specific sealer, or linseed oil applied annually. 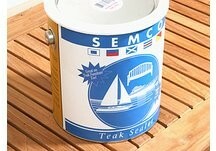 We recommend Semco Teak Sealer. This brand offers natural looking protection for up to a year, and helps protect against stains. Do not apply Semco until your NEW furniture has been outside for at least 2 weeks. If your furniture has already been treated, clean and dry the furniture before application. Semco is easy to apply. Simply wipe on with a clean, lint-free rag. An old t-shirt works great. Apply liberally and wipe away any excess sealer with a separate clean rag. There is no need to worry about brush strokes or lap marks. The first coat will try within one hour. Apply a second coat after the first is completely dry. Be sure to apply the second coat within 24 hours. 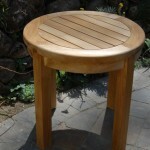 Two coats are all that are recommended for new OR restored furniture. Mildew most often develops in conditions that are damp or highly humid where the furniture doesn’t regularly dry out. Should mildew (black spots) develop on your furniture, it can be removed with a mild solution of 1 part bleach to 10 parts water. Apply the solution to the affected furniture and let sit for a minute. Lightly agitate with a soft plastic bristle brush, cleaning in the direction of the grain, and rinse clean with water. Repeat if necessary. Annual cleaning is recommended to remove accumulated dirt, pollen, etc. Thoroughly spray down your furniture with a garden hose to remove any loose dirt. Then, while the furniture is still wet, use a plastic bristle hand brush and lightly scrub the furniture back and forth in the direction of the grain of the wood. This scrubbing will agitate the dust and dirt from the teak. Immediately hose off the furniture before it dries. This annual cleaning takes some elbow grease and is a bit wet and dirty. 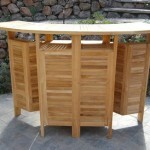 However, your teak will look fresh and shimmery silver and you will be happy with the results.